Forgive the slightly dramatic title of the blog post - I just get a bit excited when I test something new and it actually works well! 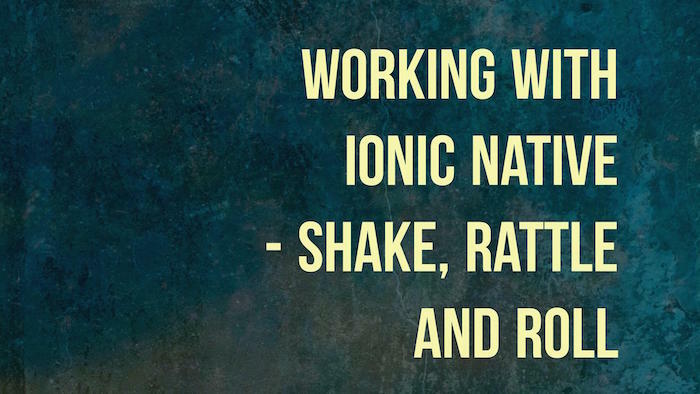 For today’s post, I’m looking at something new with Ionic - Ionic Native. Ionic Native is the spiritual successor to the older ngCordova project. Basically - it provides an Ionic/Angular friendly interface to many common Apache Cordova plugins. To be clear, this isn’t something you have to use in your Ionic application, but it can make using plugins a bit simpler. For today’s demo, I thought I’d work with the Device Motion plugin. This plugin lets monitor the device accelerometer and do… well whatever based on the motion of the hardware. For my demo (link at the end) I decided on a simple idea - I’d build an app that loads data and then lets you shake the device to update. Again - I’m kinda assuming this is all relatively simple, but just let me know if it doesn’t make sense. Finally, I built out my view. That was step one. 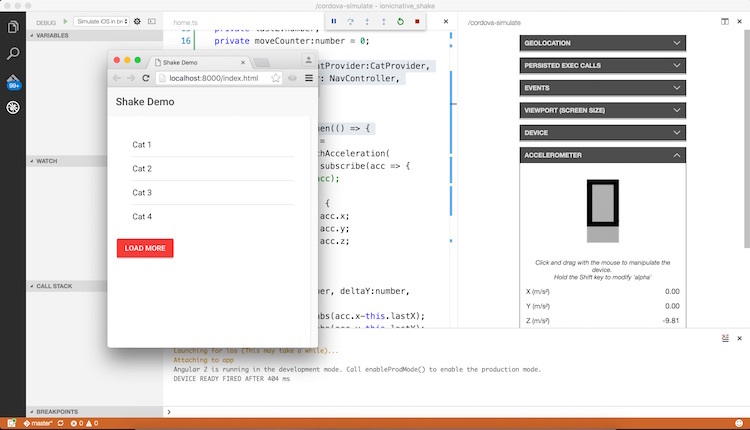 Step two was to switch to using the incredibly cool Cordova Tools extension for Visual Studio Code. This is an extension created by Microsoft that provides a whole set of awesomeness for folks doing Cordova/Ionic apps with Code. Most recently, they added support for using Ripple within the editor. I haven’t talked about Ripple in a long time, but for folks who don’t remember, it was a browser based testing system for Cordova apps that included some cool extras - like being able to fake GPS and accelerometer data. 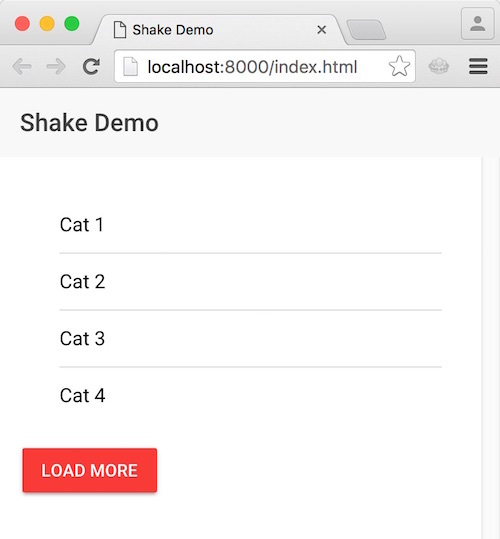 You can find the complete source code for this up on GitHub: https://github.com/cfjedimaster/Cordova-Examples/tree/master/ionicnative_shake. Let me know if you have any questions by leaving me a comment below!